Open. 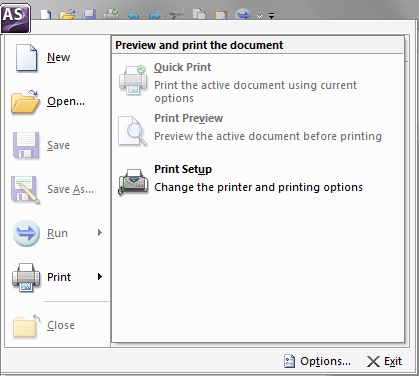 Open an existing document. You can open a file from the list of configured WebFOCUS environments or navigate to a file on your desktop. Options. 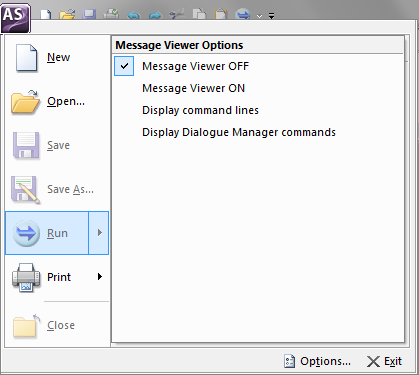 Open the Options dialog box where you can set user preferences. For more information, see Setting User Preferences. Note: In the Application menu, the terms document and active document represent all files which you can create in App Studio. Tip: Double-click the Application button to exit App Studio. If you exit App Studio in this way, active (open) documents are not saved.